Regional Development Minister Danny Kennedy announced at the start of July 2012, the opening of two new bus lanes in Belfast city centre, on Oxford Street and East Bridge Street, both of which will allow access for motorcycles. The new bus lanes opened on Thursday 5 July 2012. The Oxford Street bus lanes will give priority to buses between Queen’s Bridge and May Street from 7.00am – 7.00pm, Monday to Saturday. The East Bridge Street bus lane will be in operation Monday – Friday 7.30-9.30am and 3.30-6.30pm and will assist buses approaching from the east from incurring delays at the signalised junctions. Both bus lanes will be clearly delineated with solid white lines and associated signs. one way traffic northbound on Alfred Street between Sussex Place and May Street. The Minister added: “Further traffic management works are planned across the city centre until Summer 2013 for the full implementation of the ‘Sustainable Transport Enabling Measures’ (STEM). The re-routing of northbound through traffic from Great Victoria Street onto Hope Street and Durham Street with south bound traffic continuing to use Great Victoria Street. Grosvenor Road will become one-way westbound and College Square North one-way eastbound. 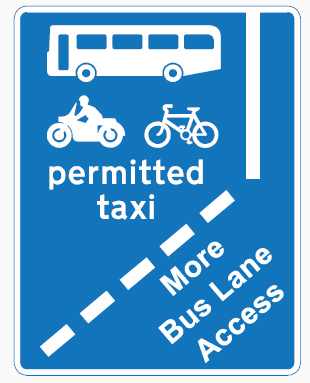 The redistribution of existing road space in city centre streets to provide extensive bus priority measures for use by public transport, taxis and cyclists. The delivery of 20 new controlled pedestrian crossing points; about 2.6km of new bus lanes which will also accommodate cyclists and taxis; 340m of new dedicated service bays; 1km of new dedicated cycle lanes; and over 40 additional dedicated disabled parking bays. 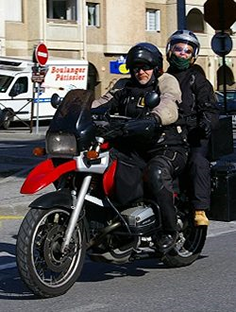 At Right To Ride we have been assured that motorcycles (Powered Two Wheelers – Motorcycles – Scooters – mopeds) will have the necessary access within these proposals.